Time magazine chose Mark Zuckerberg as the 2010 person of the year. A film on the life of Mark Zuckerberg is a strong contender for Oscars next February. He is twenty six years old and is worth 7 billion dollars. He drives an Acura TSX and rents a house. 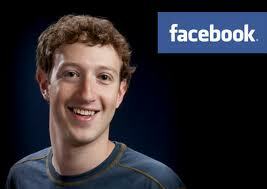 And he is the creator of the phenomenon called “Facebook”. Yes, Facebook is no longer a website, it is a phenomenon. Social networking sites are nothing new. People on the internet started to commune together since the early days through bulletin boards, news groups etc., long before MySpace, LinkedIn, Orkut and Facebook came into existence. Newsgroups were there (remember soc.cult.etc.etc?) even before web browsers and web servers were invented. People have always tried to use the internet to connect and to share. Social networking sites like Facebook has given the people the ideal vehicle to connect and share. And of all the social networking sites, Facebook has become the most popular platform primarily because of its ability to evolve continuously. People have been able to connect with their friends after ages, they share their thoughts, their likes and dislikes, their photos and memories. It allows many to get their moments of fame and recognition from their friends and peers that was never possible before. It has become such a powerful attraction to many that some psychiatrists are considering Facebook addition as a diagnosable ailment. But Facebook addiction is only one of the complaints against this 21st century phenomenon. Many people complain that Facebook doesn’t care for their privacy. They feel shocked to learn that some apparently unknown person has been able to read their profiles, or when they see personal comments from some unknown people floating in on their walls. However, before making any such complaints, one should think that Facebook is not a place for private people. You join Facebook to share, to get others to know you. I do not mean that just because you are on Facebook, one has the right to know about all your secrets. All I mean to say is that, people only know what you want them to know. When you make someone your friend, there has to be an element of trust between you two. Also, you should note that when you comment on a post by your friend, it is most likely that his/her friends get to see your comment too. So the first principle in Facebook (or any such social network platform) is not to make a comment or statement that you wouldn’t want to share with many. If there is something that you’d like to share with your friend in private, there are several other vehicles to do it, including the messaging feature of Facebook. Another common complaint, “Why do I have too see all the garbage that my friends and their friends keep on posting.” Well, since you have accepted somebody as your friend, it is presumed that you’d like to read what they have to say. But if someone makes and excessive amount of postings, you have the option of politely hiding their posts such that they don’t appear on your news feed. Your friend does not even get to know that you have turned him off without rejecting him as a friend. Facebook is a powerful platform and it is transforming the way people use the internet. It is empowering the internet users in ways that was never thought to be possible. Marketing organizations are paying special attention to these platforms because this is where their customers are flocking. But Facebook allows not only the big corporations, but also the smaller organizations to reach out to the people for whatever cause they want their attention. Features like groups and pages allow people to create common areas of interest to work and share on. But when all this becomes easily available to everybody, lot of junk gets created too. One must be extremely careful in selecting the right groups and pages to join. Facebook is becoming an integral part of our online existence. Even if you are not on Facebook today, if you are a netizen, you’ll soon have to join because all your friends will expect you to be on Facebook. It is an enjoyable experience, but just like any other piece of technology, it must be used responsibly. Note that, Facebook is a public place hence treat it like you’d treat a regular public space. Do not litter, do not cause nuisance, do not exhibit your dirty laundry and do not abuse it. This entry was posted in Generic and tagged community, connectivity, driving, Facebook, film, House, IT, magazine, network, oscar, personalities, Reading by sudipta. Bookmark the permalink. Yes, you can “Un-Friend” if you want. Go to the Account pull-down menu and click Edit Friends. Then “Remove” any friend you want. Simple. I meant in another way 🙂 I already had a lesson from Purba on FB. Thanks for the info anyway.